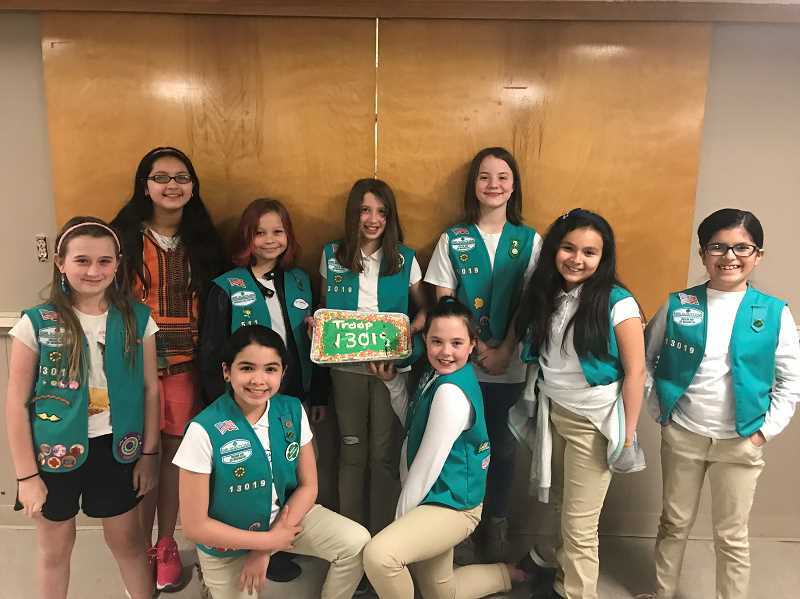 Woodburn's Girl Scouts Junior Troop 13019 has launched a drive to collect certain items for military troops serving overseas. The drive is part of the troop's Bronze Award, and the girls are requesting help from the community. Over the next month, they will be collecting the following items: Baby wipes, Q-tips; Swiffer duster, Clorox wipes, etc., since it's very dusty and really hard to keep things clean where the supplies are being shipped; Ziplock bags, both sandwich and gallon size; coffee, including k cups or grounds and whole beans; coffee creamer; personal hygiene items such as soaps, shampoos, lotion, loofas, wash cloths; hand sanitizer; snacks, including jerky and protein bars and other healthy snacks; paper, pens, and envelopes for writing letters. Anyone who would like to help the girls are welcome to drop off items between 8 a.m. and 4 p.m., Monday through Thursday, at the Immanuel Lutheran Church office, 1036 E Lincoln St., Woodburn. "We will be collecting these items over the next month and then packaging and sending them," Troop spokeswoman Nicole Shook-Hetland said. "We will post picture and a log of our journey."